10 yr old Ravi, recently arrived from Sri Lanka, is shy on his first day at an Australian school. Ravi and his family have just moved into Sydney’s Villawood detention centre and school is the only time he is allowed outside its fences. 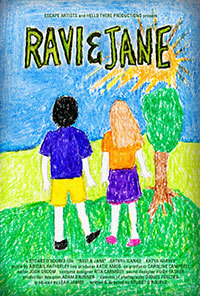 At school he is befriended by Jane and she invites him to her birthday party. Jane is dismayed when he doesn’t turn up to the party and is absent from school on Monday, only to learn he has moved away. It is only when she receives a letter from Ravi that she understands that their friendship is not lost.